Watch keynote talks on YouTube! The conference offers an unrivalled opportunity for those interested in intelligence to meet, present their research, and discuss current questions and applications. The 2015 local hosts were Professors Rex Jung and Ron Yeo. View or print the Conference Flyer! STEVEN PINKER Harvard University The Sense of Style: How to Think About Writing in the 21st Century. 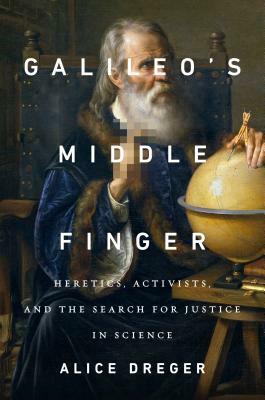 ALICE DREGER, author of Galileo’s Middle Finger. For morning or lunch, perhaps take a breaking bad tour, visit the (great) zoo, or just get lunch at one of many nice diners in town. Afternoon: Host Rex Jung will be offering a small tour on Thursday the 17th to Casa Rondena winery. The conference is held at Hotel Andaluz in Albuquerque, New Mexico. The street entrance is on Copper St. There is free wireless internet throughout. The hotel also offers free valet parking (mention ISIR conference). Travel: The hotel is a 10-minute cab ride from the airport. The conference Hotel is now booked out. We recommend the Hyatt or Double Tree, both within easy walking distance. Electronic submissions opened March 1 and closed May 15, 2015. The advance program is available above. Poster presentation advice: Poster boards accept a maximum size poster of 36-inches tall x 48-inches wide. Posters will be affixed with thumb tacks. Conference registration includes complimentary welcome reception (sponsored by Elsevier), banquet on the second night, and lunch each day – your name badge gives you entry to these included events. The banquet (conference dinner) will be held at the Hotel Andaluz conference venue. Register by July 31, 2015 to receive the discounted rate. Travel grants (deadline July 31st): A small number of travel grants will be awarded to graduate students who present a paper at the conference. Priority will be given to students with no other source of travel support or with particularly high travel costs. To apply, e-mail Yulia Kovas your name, affiliation, any other sources of travel support, and whether you have previously received ISIR travel support. You should get an acknowledgement by return e-mail. If not, then follow this up. Decisions will announced on August 10. John B. Carroll Award. Awarded to the student whose paper is rated as using the best methods. Includes a $500 cash award. ISIR best graduate student presentation award Awarded to the graduate student who gives the best presentation. Includes a $500 cash award.